After years of oppression it wasn’t until a few decades ago that woman were looked at as equal partners in their marriages and not just what some considered help. Following the women’s rights movement the ambition of the once forced housewife was taken to new heights. No longer did we just hope to be the best homemakers and mothers but we also wanted to be the best Lawyers, Engineers, and so forth. Embracing these new tangible levels of success brought us to a higher place and a more forthright role in our marriages. People had never seen a couple who ran the family business together or who both had careers. Some of these couples began to cohesively dominate and affect their workplaces and communities. Creating a name for themselves as an individual and proving to be a force together, thus creating the term power couple. When I searched Power Couple on Google I found the definition to only be partially true, a couple who both have high-powered careers and are influential was the sum of the definition. Thinking about the statement I wondered if that was all it meant? The term power alone holds a lot of weight so you can’t equate it to just two simple characteristics. The basis of a power couple to onlookers are indeed the two things stated but it’s fundamentally a little more. One of the most important aspects is the distribution of overall power is equality among the two parties. When women began stepping out into careers it didn’t just change financial dependence but caused a ripple effect. A woman’s role in the “Power” Couple is more than having a career where she makes large sums of money. That is a common misconception, with her high-powered position just as in a company setting; her voice holds more weight when it comes to making decisions with her spouse. When planning family vacations, a move to a new city, and things of that nature she has an equal bargaining tool. In past times women would feel compelled to follow their mate or let them take the lead because they didn’t have the same grounded attachments now they have the freedom to apart of the choices. There are a plethora of prevalent power couples we see in the media today. 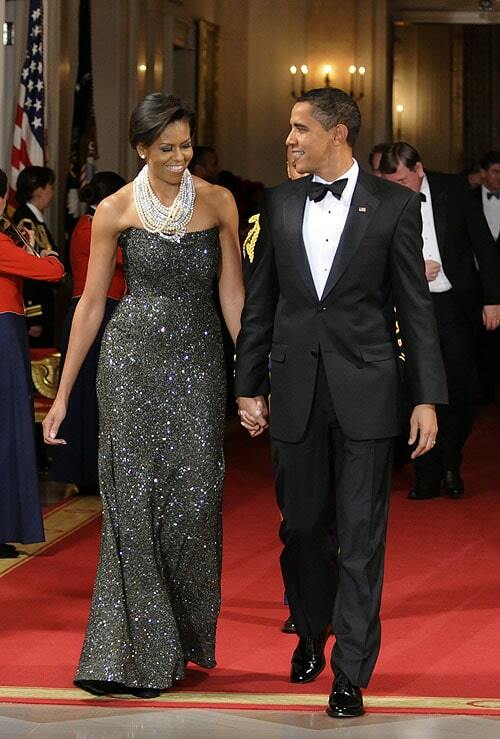 President Barack Obama and First Lady Michelle Obama are the face of America and show a power couple at its best. The two met at Harvard Law School and for a lengthy part of their marriage Michelle worked as a partner Attorney at a high power Law Firm well before Obama came into his own. Even her role as the First Lady has been noticeably more active than some of the previous white house residents. Other popular power couples include Carmelo Anthony and LaLa Vazquez-Anthony, Mariah Carey and Nick Cannon, Will Smith and Jada Pinkett-Smith. In current times the polarization of power couples and those representing the exact opposite are equally shown. Previously mentioned in the Part 1 of this article, shows like Basketball Wives, Love & Hip-Hop and a few others show partial or complete dependence of women on their partners. Sometimes sending the message that it’s okay to settle for certain inadequacies like not having careers to maintain a comfortable “lifestyle” that has been provided for them. Further into seasons we ultimately witness the demise of their marriages as they try to start from scratch and find a career path. Beyonce and Jay-Z are among the most popular power couples. Both have individual net worth’s in the hundreds of millions. Ironically Beyonce who is always professing her love for hubby Jay-Z is known for her girl power anthems “I know you like it how we’re smart enough to make these millions, strong enough to bare the children, then get back to business.” She sang on her “Who Run the World (Girls)” anthem. She openly expressed the importance she saw in developing as an individual before getting married. This is often a crucial part to a power couple. Being apart of a power couple represents a woman’s unwillingness to sacrifice her career goals for her marriage. She is resilient and believes she can have it all and works for it all, putting the same efforts into her relationship and her career. A woman in a power couple is just as impressive, successful, and influential as she would be without her partner. Touching, I personally like this article because I have been known to express to my boyfriend many times that I plan to earn more than him. He enjoys the fact that I want to push myself and its great how this article makes equality important. congratulations to both of couples.